Cookies are text or image files that a website can install in your equipment or device through your browser when it is connected to a website. Cookies might be used to obtain and store data from the users while they are connected. One kind of cookies will be session cookies which are used to offer the requested services and they don't usually store data. Other kind of cookies will be persistent cookies, which store user's data for an undefined period of time aiming using it on future services. Cookies can be own cookies or third party cookies. Technical cookies facilitate the user's navigation and the use of the different options or services offered by the web. They make easier to the user to identify the session, access to different areas, facilitate orders and purchases, forms filling, registrations, security, make easier some functionalities (video, social networks, etc). Customization cookies allows the user to access to the services according to his preferences (language, navigator, configuration etc). Analysis cookies allows the anonymous analysis of the behaviour of the users of the website, the measure of the user's activity and the creation of navigation profiles to improve the websites. Advertising cookies allows the management of the advertising spaces of the web. Customized advertising cookies allow the management of the advertising spaces on the web considering the behaviour and navigation habits of the user. According to this information a user profile is created and it allows to customize the publicity shown on the user's browser. www.alhambrasl.com only uses technical, customization and analysis cookies as well as own and third party cookies. Therefore, when you visit our website, in compliance with article 22 of Act on Information Society Services and Electronic Commerce (LSSI), we request your approval for its use, that, in any case, will be installed after a moderate period of time, in this way, the user will have enough time to decide if approve or deny his consent. This cookie is used by the PHP language to allow that the SESSION variables could be stored on the website server. This cookie is essential for the website running. Manufacturas Alhambra S.L. website can use third party services to collect data with statistical purposes: the use of the site by the user and for other service provision related to the activity of the website and other Internet services. Every time that a user visits a service, an external provider tool creates an analytical cookie on the User computer. This Cookie that is only created on the visit, will be used in future visits by Manufacturas Alhambra S.L. Services to identify the visitor anonymously. It helps us to the anonymous identification of the navigation users through the "Cookie" (It identifies browsers and devices, not people) and then the estimated calculation of the number of visitors and their activity in time. Identifying the most visited and attractive contents for the users anonymously. Knowing if is the first visit of the user or not. The "Cookie" will never be associated to any personal data that might identify the user directly. These Cookies will be used only for statistical purposes that improve the optimization of the user's experience on this website. Google's technical cookies allow the correct functioning of its services such as watching Youtube videos . The correct functioning of third party services. Advertising technique featured by collect anonymous information from the behaviour and browsing habits of the consumer through a cookie. The aim of this cookie is to choose which ads will be shown to the user according to his interests. We inform you that you can enable or disable these cookies following the instructions of your browser. The Cookies blocking option on your browser might not allow you to use all the functionalities of the website. Despite the fact that most cookies are anonymous and they don't allow to deduce nor to obtain the identity of the User, some of the codes included on them are used to customise and personalise the browser of your device. In these cases, the General Data Protection Regulation (GDPR) might be applied. Manufacturas Alhambra S.L. 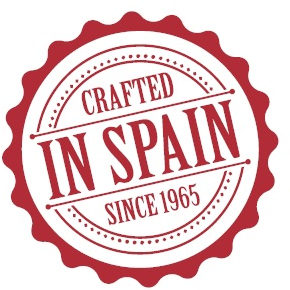 can modify this Cookies Policy according to the legislative and statutory requirements or in order to adapt this policy to the instructions given by the Spanish Data Protection Agency, this is why it is suggested to check it periodically.